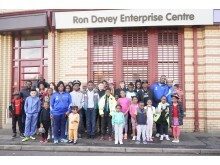 The workshops take place on Saturdays at ng homes’ Ron Davey Enterprise Centre in Springburn and the first one which focussed on the dangers of knife crime and contact with strangers was attended by 45 participants and formed part of the Young Start Fund programme delivered by African Challenge Scotland. Sergeant Caroline Harden of Police Scotland who delivered the workshop said: "It is extremely important that Police officers engage with young people and keep them informed. 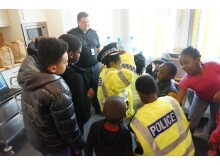 This series of workshops, including knife crime and stranger danger, provides an excellent opportunity for the young people to meet Police Officers and be actively involved in group discussions around a range of topics, which will advise them on how to keep safe". During the event, Police Scotland showed a short film which featured a young man on a night out and how the decision he makes early on turns his life and those around him upside down. Some of the young actors in the film had been affected by knife crime in the past and up until the film was made they had no previous acting experience. The film was produced as part of No Knives Better Lives (NKBL), a Safer Scotland national initiative which works with local organisations to provide information and support. The campaign aims to raise awareness of the consequences of carrying a knife whilst encouraging young people to make positive life choices by providing information on local activities and opportunities. Between 2009 and 2014, the national NKBL delivery team supported partners in 11 local authority areas to run local NKBL campaigns. In April 2014 a more flexible delivery model was introduced whereby access to the NKBL support programme was made available to all 32 local authority areas in Scotland. A total of 18 local authority areas are now involved in the initiative. Statistics published in September 2015 by the Scottish Government’s Violence in Knife Crime Unit state that the number of young people under 19 convicted of handling an offensive weapon has fallen by 82% from 811 in 2006/07 to 146 in 2014/15. African Challenge Scotland whose young people take part in the workshops is a Scotland–wide voluntary organisation based in North Glasgow. 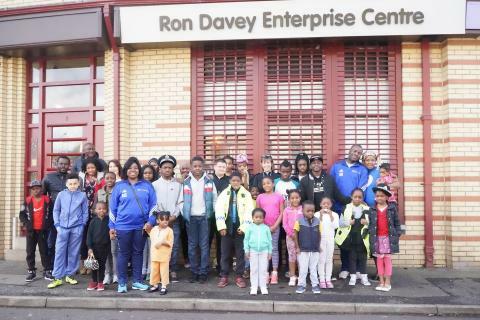 Its aims are to help build more successful integrated communities, relieve poverty, advance education and promote cultural and sporting links between the African community in Scotland and the Scottish people. Covinette Sobze, aged 10, really enjoyed the event and said: "The workshop was very good fun and I have learned many things on the day. 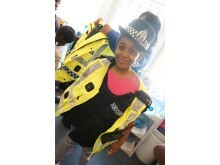 One of the important things was not to follow a stranger which is very important for a young person"
Police Scotland Supt Stewart Carle said: "Police Scotland supports African Challenge Scotland's series of workshops for young people. We are looking forward to participating again in the successful African Challenge Scotland Multi-cultural Summer 2016 Programme being hosted in Glasgow between the 1st and 6th August 2016." 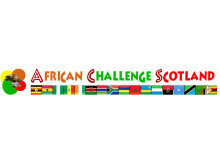 President of African Challenge Scotland, Ronier Deumeni said: "At African Challenge Scotland we want to develop better opportunities for our youth and children and to make sure that they are safe and therefore such programmes are very important to widen their knowledge and understanding of the Scottish system. It was great, fun and very informative. Thank you to Police Scotland and also to our partner ng homes and to Young Start Fund".